In a small saucepan, soften the onion and garlic with pepper flakes in the oil. Add the quinoa and broth and bring to a boil. Cover and simmer gently for about 15 minutes or until the broth is completely absorbed. In a food processor, purée the chickpeas until smooth with the quinoa mixture and bread. Stir in the remaining ingredients. Season with salt and pepper. 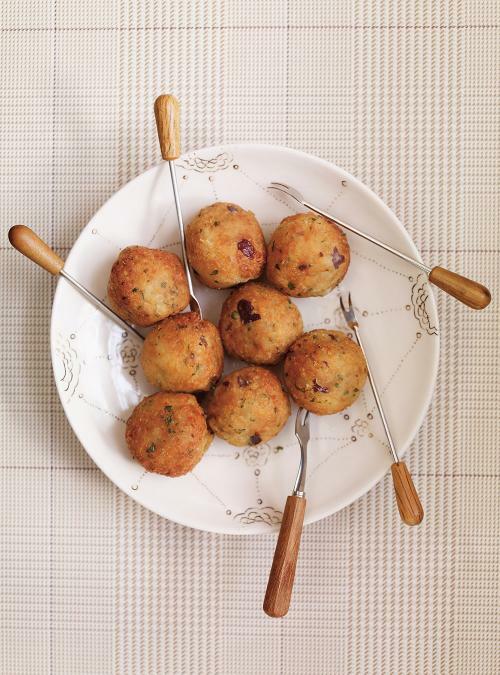 With lightly oiled hands, shape each meatball with about 15 ml (1 tablespoon) of the chickpea mixture. Place on a floured baking sheet and coat them with flour. Set aside. 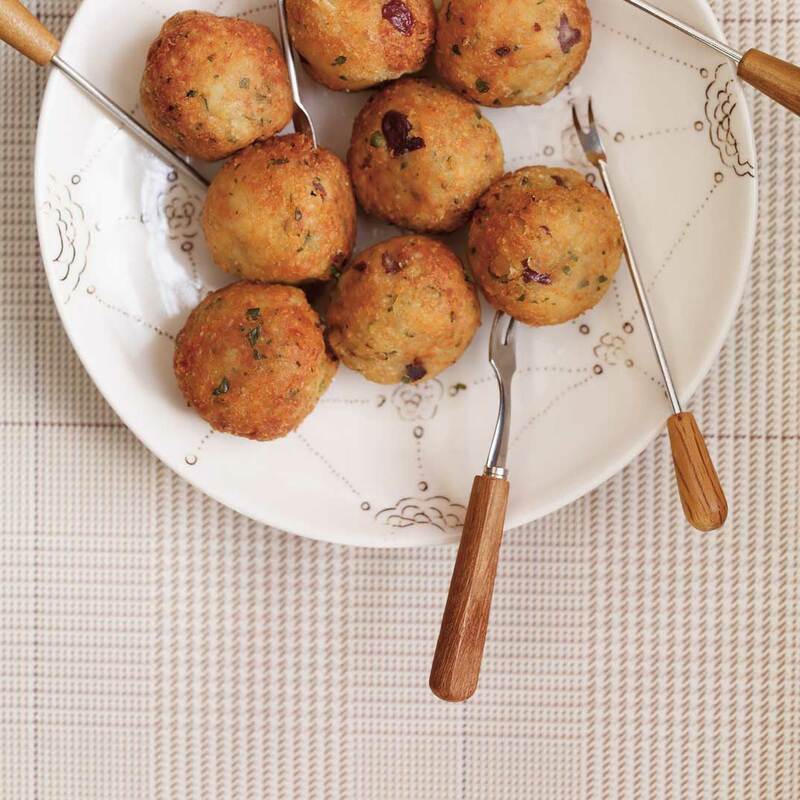 In a large skillet, heat about 1 cm (1/2 inch) of oil and brown the meatballs, a third of the balls at a time, for 2 to 3 minutes. Keep warm on a baking sheet with a wire rack. Serve hot or warm as an hors d’oeuvre. With the extra vegetarian meatballs, you can prepare a delicious sandwich for lunch on a French baguette with lettuce, tomato, and mayonnaise. Dough balls will crumble if prepared the day before. Cook the same day in a skillet or bake in the oven at 200 °C (400 °F) on a baking sheet lined with parchment paper for about 10 minutes or until the bottoms are lightly browned.